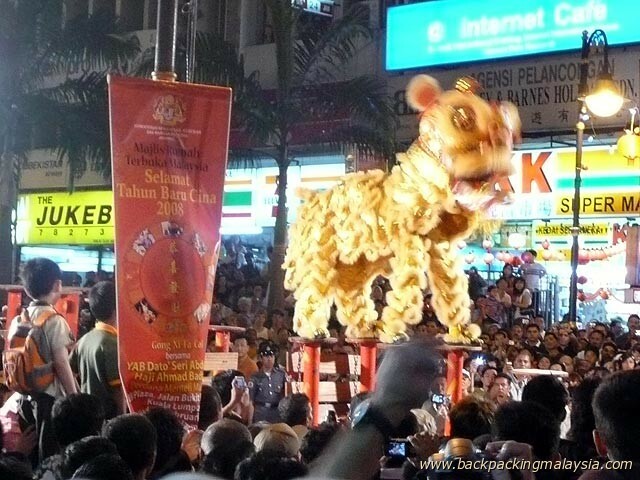 Chinese New Year, the spring festival, is the most important holiday for the Chinese community and a public holiday in Malaysia. 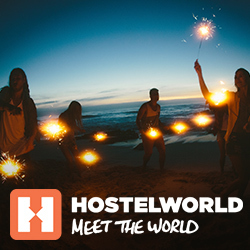 The date of Chinese New Year is based on the lunar calender and fluctuates. It always takes places between end of january end of february. The Chinese New Year (CNY) holidays, as with any major holiday in Malaysia, means "balik kampung" (malay for "back to the village"). In case for the Malaysian Chinese population it means more like "back to the home town" as the Chinese mostly live in towns and cities. Which means that there will be large exodus of people in Kuala Lumpur and the surrounding Klang Valley as people head home. The New Year celebration means finally going back home and reunite with the whole family. The first 2 days of CNY are public holidays but many take the whole week off and KL becomes almost a calm and laid-back place. Chinese make about 23% of the 30 million people living in Malaysia. 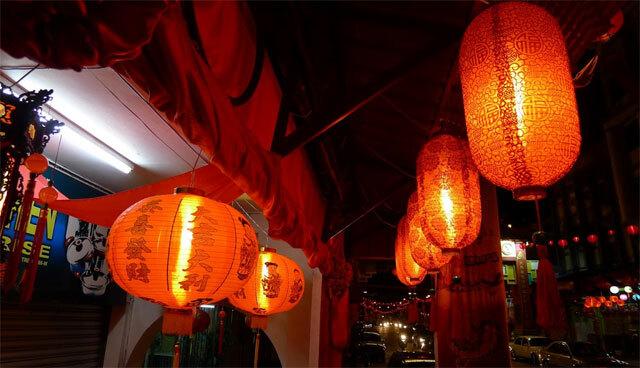 Some say many Chinese traditions are more cultivated in Malaysia than in China itself as the Chinese didn't have to suffer from Mao's cultural revolution here. Cities are decorated with red lanterns and the omnipresent slogan "Gong Xi Fa Cai" - which roughly means "may you be prosporous". There are stalls everywhere selling gifts, especially oranges are to be very popular for this occasion. Mandarin oranges and tangerines are a symbol of prosperity and good luck and their prices sore in the days leading up to Chinese New Year. The fruits are displayed as decoration or given as gifts to friends, family and business partners. It become a tradition for companies in Malaysia to release short movies each year to capture the essence of the festival. The following film by Setia Today depicts the family reunion dinner and the value of usin chopsticks. 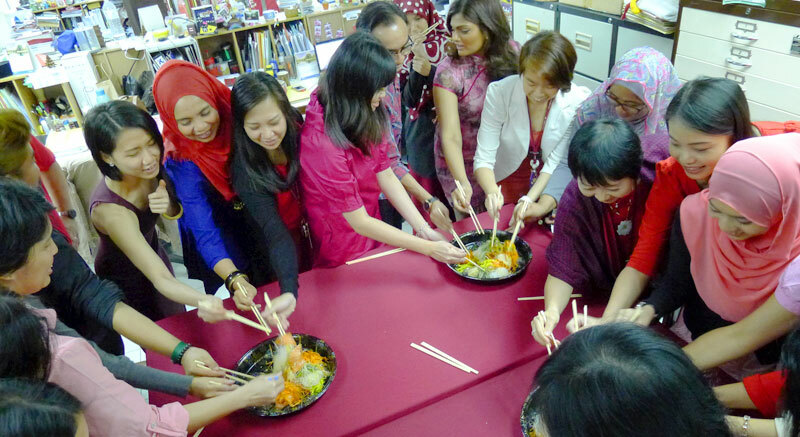 A unique tradition for the Chinese community in Malaysia and Singapore is the tossing of Yee Sang (or Yusheng 鱼生 or Spring Toss), a Teochew-style raw fish salad. The salad has unique sweet and sour flavour and consists of strips of raw fish (usually salmon), shredded pickled vegetables and other ingredients. All ingredients are positioned seperately on a big plate. 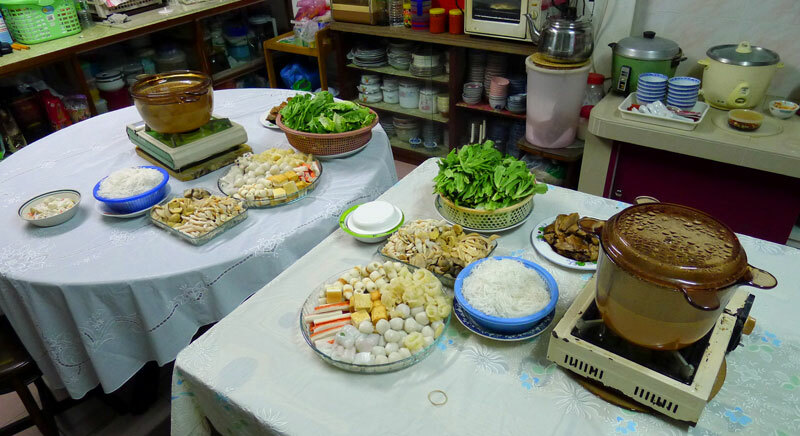 The ritual is to gather around the plate, each person holding chopsticks, and to mix and toss the salad together while shouting "Loh Hei" (Cantonese for "toss up good fortune") and announcing auspicous wishes. The higher you toss the better (and the messier the table). Traditionally, the dish has seven symbolic ingredients and is served on the seventh day of Chinese New Year. But the ritual is common anytime during the festive season with family, friends or at work. In Malaysia, festive occasions are celebrated together. 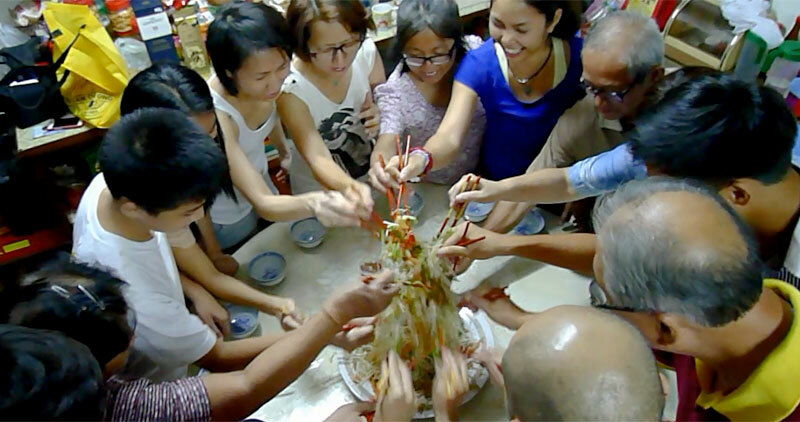 No matter the cultural background, tossing the Yee Sang is fun for everyone and it tastes good. ... tossing it way up for prosperous new year! On new year's eve is it tradition to stay up unit midnight after the reunion dinner until your safe from the evil spirit (so they legend goes) and visit the temple to welcome the new year. Chinese New Year is celebrated over a period of 15 days. Some days or more important than others and the first days are public holiday in Malaysia. The celebration already begins at midnight. After the reunion dinner and maybe a bottle of good whine or other liquor afterwards, people will go to temple to welcome the year and pray. There will also be fireworks and firecrackers (not for the last time in the upcoming 2 weeks) to chase away the evil spirits, the socalled nian (Chinese: 年) (the story of the nian monster). On the first day it is also considered bad luck to clean (dishes and laundry excluded) and especially using a broom. So the cleaning should be done in the week before CNY. The first day is also the time to honor and visit the elder family member and the wish them "gong xi fa cai" (literally: wishing you enlarge your wealth - but here it is used to wish for a happy and prosperous new year). So you wake up, put on new clothes and knock on your family members door and wish them a happy new year. In return the older family member hands back a red envelope called ang pow to the younger ones or by married family members to the unmarried ones to protect from evil spirits in the new year. The color red in general is supposed to ward off evil spirits in Chinese culture. The second day is also a public holiday in Malaysia. Traditionally this was the day when the married daugthers visit their birth family. Families who had an immediate family member passed away within the previous three years will not go house visiting to pay respect to the deceiced. Instead, on the third day of Chinese New Year, the family we visit the grave. For everyone else third day is considered a unlucky day go house visiting and people will stay home. The first Chinese shops will open for business again. In general most Chinese in Malaysia will take the whole week off however. 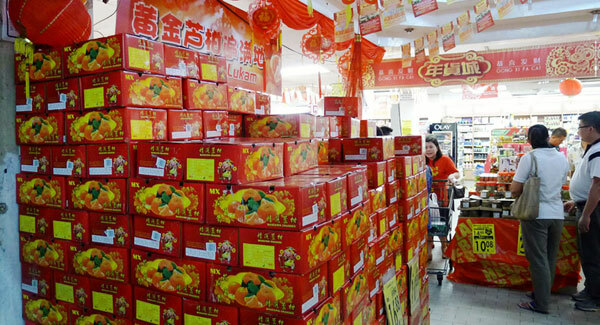 While firecrackers can be heard on any day during the 15-day CNY period, on the fifth day firecrackers and fireworks will be aplenty to get attention from the god of fortune. On the fiftth day it is also not consider bad luck to sweep the floor anymore. The seventh day is the traditional day for the Yusheng (Yee Sang) ritual, the tossing of salad and wishing for good things to come in the new year. The eve of the birth of the Jade Emperor, especially celebrated by the Hokkien community. At midnight there will be massive fireworks again to celebrate the Hokkien New Year (see 9th day). 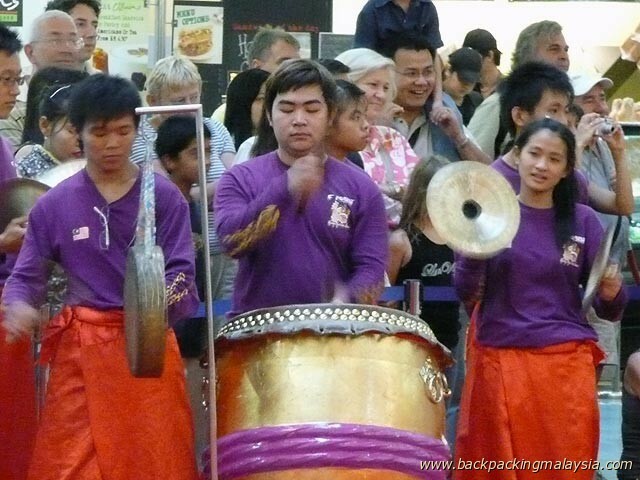 With a large Hokkien community, Penang holds a especially large celebration of this day. Traditionally this was the actual first new year's day for the Hokkiens as the legend goes that they were once hiding for the first 8 days of Chinese New Year in a sugarcane plantation from bandits. Hence, sugarcane plants have an importance on this day and can be seen everywhere. As this day also conincides with the birthday of the Jade Emperor, people give offerings and pray to the Jade Emperor. On the last day of the 2-week Chinese New Year celebration the fireworks and firecrackers are back in action again to end the festivities with a bang. "Chap Goh Meh" simple means "15th day" in the Hokkien dialect. The 15th day is also known as the Latern Festival. These days Chap Goh Meh has a carnival-like atmosphere with performance stages set up in the center of town. Chap Goh Meh traditionally was also known as the Chinese Valentine's Day as single women were allowed to venture out of their homes. In Malaysia and Singapore, there is als the tradition where the women throw mandarine oranges in the river for the men to scoop them now. People would write their phone numbers on the fruits. 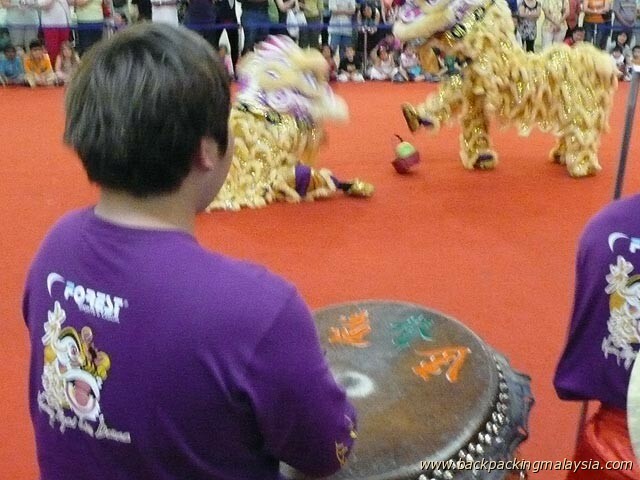 A highlight for locals and tourist alike are the Lion Dance acts. There are 2 people in each lion costume. Not an easy job, especially for the one at the back.The modern version of the Lion Dance requires extreme physical skills, especially when they jump from pole to pole. Interestingly, Malaysian teams won already more than 20 times at the Lion Dance World Championships beating teams from Hongkong and China.